Taiwan’s first and only domestic car brand, Luxgen, used the Auto Shanghai show to premiere its electric-powered Neora four-door premium sedan concept, featuring sprightly acceleration and a 400km battery range. Luxgen says the Neora weighs 1600kg (slightly more than a Nissan Leaf), and that its 48kWh lithium-ion battery pack – twice the size of the Leaf’s – enables a claimed maximum range of 400km from a full charge, comfortably beating the Leaf’s 160km. The Taiwanese brand says the Neora’s batteries can be charged to 80 per cent capacity in one hour. The Leaf’s smaller battery takes 26 minutes on fast-charge or eight hours from a household outlet. The Neora’s 180kW electric induction motor sends 100kW more power to the front wheels than a Leaf does. As a result, Luxgen says its electric sedan concept can achieve the sprint from rest to 100km/h in a Golf GTI-shaming 6.5 seconds, topping out at 250km/h – matching the electronically-limited top speed of many high-performance European cars. The Neora’s design, with its front-end reminiscent of what a car customiser might do to a Honda Insight, and its side profile dropping hints of Hyundai i45, is said to incorporate design cues that signal the future styling direction of Luxgen products. 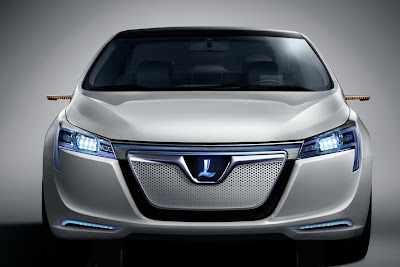 What appears to be a big front grille is just for show as Luxgen claims the Neora’s “minimum intake area decreases the drag coefficient and achieves both aesthetics and efficiency”. Look beyond the fancy lighting effects of the Neora’s exterior and you see a thinly-disguised concept car that looks close to production. The same goes for the interior – for all its translucent surfaces and blue lighting, it looks realistic, especially when one considers that the interior of Luxgen’s existing product line-up are adorned with multiple screens and high-tech gadgets. Like the new Mercedes SLK, the Neora’s panoramic glass sunroof uses polymer dispersed liquid crystals to electronically vary the amount of light entering the cabin and a fully-digital LED instrument panel is complemented by a head-up display and nine-inch colour screen for the infotainment system. In keeping with the eco-friendly powertrain, the Neora’s interior features recycled wood and the leather upholstery is finished in “earth tone colours”. Other interior materials originate from unprocessed raw materials in their natural colour. 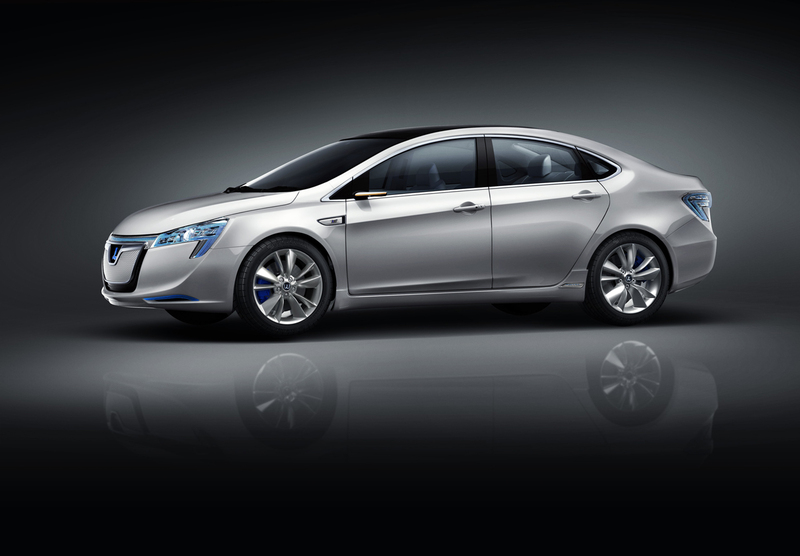 If Luxgen can bring its performance and battery range claims for the Neora concept to reality in a conventional sedan-shaped car, it will represent a significant step forward in the challenge to bring electric vehicles into the mainstream. 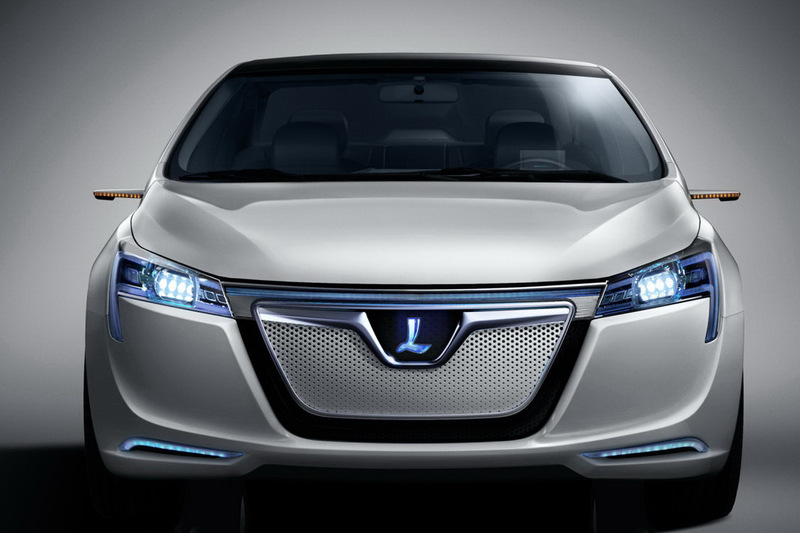 Luxgen was established in 2008, with its first launch outside Taiwan at the Dubai motor show in December 2009. The brand’s first model was a luxury people-mover named the Luxgen7 MPV, which was later joined by the Luxgen7 SUV. The Taiwanese brand later launched what it claimed to be the world’s first seven-seat electric vehicle, the MPV EV+, which offered the same 180kW peak power output as the Neora concept but with a battery range of 300km – at a constant 40km/h.